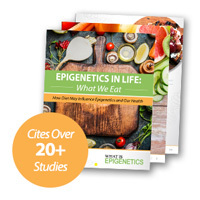 Nutrition May Have an Epigenetic Impact on Early Puberty in Girls | What is Epigenetics? Maintaining proper nutrition is a very important factor in living a long, healthy life. Foods that have little nutritional benefits have become easier to get our hands on, so the emphasis on proper nutritional health has become a fleeting priority for some people and their families. As a result, most individuals have inadvertently accepted the western diet, rich in empty carbs, red meats and saturated fats, as their everyday diet. Diet can also impact a person’s epigenetics, and people can but themselves and the health of their future offspring in danger. In addition to the numerous ailments associated with a poor diet, young children who are obese may actually experience puberty earlier than their peers, and this process may be due to in part to epigenetic influence. In a study published in Nature Communications, scientists from the Oregon Health & Science University set out to determine the correlation between diet, and early puberty in young girls. “Knowing how nutrition and specific molecules play a role in starting puberty early could one day help physicians prevent the condition in humans,” said Dr. Alejandro Lomniczi, the lead author of the study. Over the last century or more, girls have been experiencing puberty at a much younger age. In the US, the average age of menarche (the beginning of menstruation) is now 12.5, preceded by puberty-induced body changes that occur on average 2-3 years earlier. Environmental and genetic factors can influence the onset of puberty. And early on-set puberty in girls can lead to future health problems including heart disease, diabetes, and breast cancer. While the timing of puberty is highly dependent on genetic factors inherited from both parents, the alarming trend of advancement in timing indicates that more is at play than just DNA. In a previous study, Dr. Lomniczi demonstrated that epigenetic mechanisms highly regulate female puberty. He identified that when a main puberty activating gene called Kiss1 is exposed to DNA methylation, puberty was more regularly induced. In the current study, the researchers examined three different groups of rats: lean, average-sized, and overweight, focusing on the hypothalamus, which is known to regulate the pubertal process and reproductive development. The team aimed to figure out the differences in the expression of the Kiss1 gene in each of the differently nourished rats. While the exact epigenetic pathways associated with nutrition’s impact on puberty are unknown, the team identified a histone deacetylase called SIRT1 as having an essential role in both conveying nutritional information to the brain and affecting the expression of the Kiss1 gene. The scientists found that in malnourished rats there was a higher concentration of SIRT1 for a longer period of time, which delays expression of the Kiss1 gene, ultimately suspending the beginning of puberty. Contrastingly in overweight rats, there were decreased levels of SIRT1 in the hypothalamus, leading the rats to experience puberty earlier in their life. Overall, the results from this study clearly identify SIRT1 as a regulatory enzyme that functions as a fundamental epigenetic channel linking obesity and nutritional status with changes in pubertal timing. Dr. Lomniczi plans to continue his research into the cause of early-onset puberty in females, considering among other things the roles of the circadian clock and endocrine disruptors. Understanding the relationship between nutrition and epigenetics is essential considering the influence of diet during early stages of mammary gland development on breast cancer risk. It’s hoped that this study and others which recognize the effects of diet will eventually lead to successful breast cancer prevention and treatment. According to the Breast Cancer and the Environment Research Program, a girl who is overweight is more likely to enter puberty earlier than healthy girls of the same age. This can lead to a prolonged exposure to estrogen, which could elevate her risk for developing breast, uterine or ovarian cancer. While breast cancer in pre-teen and teenage girls is rare, the results of this study help to emphasize the importance of maintaining a healthy diet, especially for girls at a young age in order to maximize disease prevention. Reference: OHSU News. “Molecular link between body weight, early puberty identified” Oregon Health and Science University. 10 October 2018. Web.